Gift baskets are among my top favorite gifts to receive, because there are always bunches of great gourmet goodies that I probably would have never tried otherwise. Even more fun is a tower of gift boxes, since each box holds something different inside. I received the Ultimate Sweet and Savory Gift Tower from California Delicious. It comes with five round gift boxes with plaid print and fruit print, with five matching lids. The boxes themselves are lovely and I will definitely be saving them and reusing them in my home decor. Inside the smallest box, I discovered six Ghirardelli chocolate squares. What a perfect way to top off a gift tower! Yes, we ate those first. Actually, I was going to eat the caramel ones before my husband got home from work, but I restrained myself and waited for him. Wasn't that nice of me? The next box contained a bag of Marich Premium Chocolate Cherries and a jar of Napa Valley Mustard. Yes, we ate the Chocolate Cherries too. They are one of the most delicious treats I've ever eaten in my entire life. I must get more. The middle box in the gift tower contained a bag of Thatcher's Chocolate Caramel Gourmet Popcorn. Although we haven't tried all the treats yet, this one is on my list to try next. Gourmet gift baskets are a wonderful way to tell someone how much they mean to you! The next box contained Gourmet Cheese Spread, a bag of Ghirardelli Dark and Sea Salt Caramel Chocolate Squares, a large Chocolate Covered Graham and a large Chocolate Covered Pretzel. Who do you know that deserves a wonderful basket of gourmet treats? The largest box contained an apple and orange, a box of Smoked Almonds and a box of Toasted Sesame Crackers (to enjoy with the cheese spread and mustard). Everything we've tried so far is delicious and fresh. It was packaged carefully and arrived in perfect condition. I definitely recommend California Delicious! Visit www.californiadelicious.com to order gourmet gift baskets, chocolate gifts, wine baskets, and corporate gifts. Be sure to follow them on Facebook, Twitter, Pinterest, and Instagram so you can be first to hear about great promotions and special sales. Then enter below to win a $50 Gift Card to choose anything you want from California Delicious! Win a $50 California Delicious Gift Card! To enter, just fill in the Rafflecopter form below. You must be at least 18 years old and reside in the USA (gift baskets can not be delivered to a PO box). Only the first entry is mandatory; bonus entries increase your chance to win. 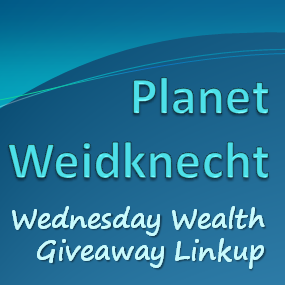 Giveaway ends on 3/1/2014. Good luck! Having just returned from a weekend trip that involved an airline flight, I cannot stress enough to you how important it is to pack lightly and compactly. Between my husband and myself, we were able to get by for the entire weekend with just one carry-on suitcase. Every inch of space counts when you travel, so your favorite guy will love this USB Rechargeable Travel Shaver! It's ingenious design is sleek and lightweight, plus since it recharges through a USB slot, there is no need to carry extra cords. It provides an excellent close shave so your on-the-go man always looks his best. Best of all, the USB plug folds up inside the Shaver. It's a great gift for Valentine's Day, Father's Day, or any special occasion. The USB Rechargeable Travel Shaver is available at www.shavetech.com and select US and Canada retailers. If you order by the end of day on 2/14/2014, you can save 35% on your purchase with discount code HEARTS14. Be sure to like them on Facebook too. If your man is more of a chef than a traveler, he's going to love the AnySharp Plus Knife Sharpener. This handy gadget has a suction cup on the bottom of it, with a clamp-down lever to ensure it stays put on a countertop or table. It's the world's only knife sharpener with a patented PowerGrip suction cup. It will sharpen virtually any knife, even a serrated knife. There is even a scissor sharpener on this knife sharpener. The grooved shape of the sharpener makes it so easy to just slide the blade through, and the powerful suction cup eliminates slipping or jamming. Guys love to carry a sharp pocket knife, so treat your honey to something he'll use over and over again. The AnySharp Plus Knife Sharpener is available at www.anysharp.com. When you order by end of day on 2/14/2014, you can save 35% with discount code FEB14. Visit them on Facebook and like their page to be first to hear about special promotions and new products. Disclosure: I received this book at no charge in exchange for my post. Do you wish you had more organization in your life? The Life Organizer by Jennifer Louden helps you shift your focus, augmenting traditional goal setting with the ease that comes from steady inner listening and mindfulness. 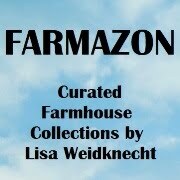 Here, the author answers questions about her book! There are dozens and dozens of time management books and planner systems on the market. Why create a new one? Let me be clear: I would be lost without Google Calendar. But calendars and traditional time management is only half the picture. The Life Organizer brings in the other half: our values, our heart, our intuition, and mindfulness. We need our to-do lists, but there’s another whole part of us that withers if we’re not making time to listen and tune in. How does Life Organizing work? You can do it anytime. It’s not a big deal. The way that the book is structured is that it gives you all kinds of tools that you can use in 30-seconds — on your way to pick up the kids, when you’re waiting for a meeting to start, or when your head is about to pop off because of boredom or stress. 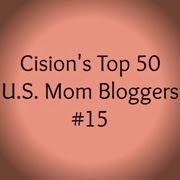 Tens of thousands of women have been using these ideas for more than 15 years in so many creative ways. From a few minutes in the bathtub on a Sunday night to a regular check in first thing in the morning – it’s completely customizable and flexible. That’s why it’s been so popular. The Five Step Organizing Process sounds like it takes time. How can women possibly add another thing to their lives? It takes far longer to explain the five steps than it does to do them! The first step is to CONNECT. So much of our lives we forget we have a body until our back aches from sitting too long, or we have to go to the bathroom urgently. Connecting simply means finding your body and feeling it. Maybe take a breath, put your hand on your heart, or give yourself a little ear rub. It takes seconds. The second step is to FEEL. 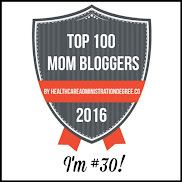 This is based on the great body of research in neurocardiology. We have a brain in our heart and that brain is one of our most effective tools for stress reduction and also for opening up the higher functions of our brain; creativity, intuition, empathy. FEEL means recall a pleasant feeling. I got married recently so my favorite memory these days is the ceremony and our dance. I take about 20 seconds to feel in and turn up the volume on those feelings of love and connection and happiness. The third step is to INQUIRE. Drop a Mindful Question in to this opened up space. Something like, ‘What would I really love to do next?” or “What or whom do I want to say no to today?” or “What’s most important in this moment?” Then the final two steps are to ALLOW yourself to relax and listen. And, finally, APPLY or take action. Do something with what you hear, even if it’s just say thank you for yourself for checking in. This is a mindfulness practice woven into everyday life. You offer a different way to manage your To-Do list in The Life Organizer. What is that and how does it help tame overwhelm? So much of our experience of overwhelm comes from the story that we tell ourselves about what we have to do. So one of the most beloved tools in The Life Organizer is to sort your list by “have to”, “could do”, and “let go of”. What women have reported to me over the years is just the permission to use that frame to look at their life – everything is not a have to – opens up the idea that overwhelm might not be this law of the universe that you must experience, that it might actually be something you have a relationship to and that you can choose to change. Have to, could do let go, try it out when you next add items to your to do list. What’s the Berlin Wall of Busyness and why are you dedicated to dismantling it? The Berlin Wall of Busyness is this constant conversation in the media, in our family lives, and in our workplaces that starts with the words, “I’m just so busy.” It’s a badge of honor, to be so busy. It’s one of the prime habits that erode our humanity, our empathy, and our ability to connect with each other. It keeps us tuned out re: what’s really going on in the world – things like climate change – and makes it feel impossible to take action to make the world better. We tune out because we feel we’re so busy and overwhelmed. We get home at night and all we want to do is tune out. Dismantling the Berlin Wall of Busyness is the true purpose The Life Organizer – to help us begin to see that it’s an illusion and that we don’t have to continue to live this way. We can make different, more mindful and alive, choices. What is the most powerful change that happened to someone from using The Life Organizer? It’s from a review on Amazon. It’s a story of a woman who felt like she hadn’t been living her dream, which was to work in the theater. She’d raised her daughter, took care of her parents, and had given up on something that had been incredibly important to her. When her daughter was preparing for college, the theater dream came around and was bugging her, and she was frustrated and mad at herself for wanting something so impossible. Then she read the book and this line, "Desire is the flow of life we yearn to swim in, the urge to be one with Spirit, and the way to stay in touch with this flow is through knowing what we want without insisting that we get it", blew her open. She felt free to pursue her dream. Within days, her whole life had turned around. She ended up getting her MFA in costume design. The book helped her dismantle the story that she couldn’t have what she wanted. You’ve been called The Comfort Queen. What does Life Organizing have to do with comfort? It’s another iteration of the themes of my 23-years of writing, teaching, and speaking about women’s well-being. To me, the deepest definition of comfort is being comfortable in my own skin and with my own choices and decisions. To get there, over the course of all the books I’ve written and all the workshops and retreats and speeches I’ve given, I’ve realized that it’s taking the time to listen to myself and validating what I am experiencing. It’s asking, “What do I need? What do I think?” Instead of going to an expert, it’s really coming into this moment and owning it for myself. The Life Organizer helps you become comfortable trusting yourself, your instincts and choices and directing your life more from that place. Not all of the time, but more. That’s really deep comfort. Thousands of self-help books are released every year. Are people actually changing for the better or are self-help authors like you simply making money off the promise of self-improvement? That is a question I ask myself often! I don’t want to spend my life offering people things that aren’t of real value. I don’t know the answer. I want to say, “Yes, people are changing.” I’ve had the pleasure and the privilege of working with women as a coach and through my retreats for over 20 years and I have seen some incredible change in individual women and heard stories about my books helping many, many women, but is it lasting change? I hope so. Why is your book written for only women? Don’t men need this way of organizing their lives, too? Yes, men, need a way of organizing their lives, too. The reason I’m drawn to do work that’s aimed mostly at women is because we have a certain set of challenges. We live in a culture that says that says we come second because we should be taking care of everybody else first. We need support to change that story. If you could have women do one thing to direct their lives in this new way, what would it be? It would be the popular perennial idea that Brene Brown quoted it in her book Daring Greatly and that’s the concept of shadow comforts and time monsters. Shadow comforts are the things we do in the name of self-care that don’t truly nurture us; they actually undermine our confidence and trust in ourselves. Eating a whole package of Oreos, binge watching Netflix, gossiping, shopping versus going for a walk in the woods or having a good cry or calling a friend. You know? What really would recharge us? Time monsters are the things that we do instead of what we really want to do. For me, it’s checking email instead of writing the new book I’m trying to write. Or helping my daughter research something instead of sitting staring into space and thinking. Time monsters can be satisfying They make us feel so worthwhile but they can keep us from our dreams. Try gently asking yourself, “What are my shadow comforts? What are my time monsters?” Simply bring some awareness to this area, some curiosity, is incredibly powerful. How do you support women to continue to use this process? I have an app for that! It’s exciting to use technology to remind people to check in with themselves, and to collect simple data to see a picture of their desires and choices over time. Along with that app, when you sign up through my website http://jenniferlouden.com/lifeorganizer/, we send you fun reminder emails to keep encouraging you to check in with yourself and to trust yourself. 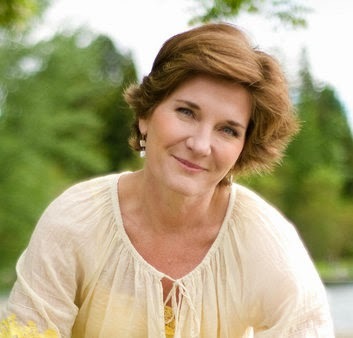 Jennifer Louden is the author of The Life Organizer and The Woman’s Comfort Book. A personal growth pioneer who helped launch the self-care movement, she's written 4 additional books on well-being and whole living that have inspired women all over the world. Jen believes self-love + world-love = wholeness for all. 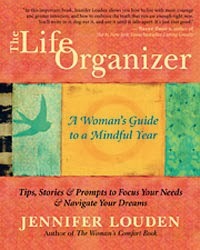 Visit http://JenniferLouden.com/lifeorganizer for a life organizer app & other useful freebies. Click HERE to buy The Life Organizer! A boring kitchen is filled with plain white dishes. An exciting, inviting kitchen is filled with color and fun. Brighten up your kitchen with the stunning Novogratz Dinnerware Collection! From plates to bowls, from mugs to trays, Novogratz has bold designs that mix modern with vintage. I absolutely love the cheerful colors and designs! This melamine Popcorn Bowl holds bunches of popcorn for the perfect family movie night or fill it with some gourmet chocolate-drizzled popcorn for a romantic movie night for two. Eliminate those greasy popcorn bag messes and serve your popcorn in style. I love how the scalloped top edge of the Popcorn Bowl adds so much personality! Add some flashy Hot Mugs from Novogratz to your movie night too. This big 16oz ceramic mug is perfect for coffee or treat the kids to hot chocolate with whipped cream on top. I drink a lot of coffee so the larger sized mug is perfect for me! The Novogratz Collection, designed by Cortney and Robert Novogratz is available exclusively at select Macy's stores and at www.macys.com. I've just received an assortment of sauces, spice, and salsa from Caribbean Trading Company. The flavors sound so amazing and I decided to use the Sweet n Smoky Jerk Wing Sauce to make Shredded BBQ Crockpot Chicken. This all-natural sauce is a medium-heat sauce with a mix of habanero heat and fruity sweetness. I defrosted six pounds of chicken breasts and hauled out my huge crock pot so I could make a big batch of Shredded BBQ Crockpot Chicken. I opened the Caribbean Trading Company Sweet n Smoky Jerk Wing Sauce to taste test it and it is incredible. Ready to get cooking? Cut 1/2 stick butter into small pieces and toss in the crock pot. Arrange 6 pounds of boneless, skinless chicken breasts on top of the butter. Pour 1 jar Caribbean Trading Company Sweet n Smoky Jerk Wing Sauce over chicken, to completely cover them. Add 1/4 cup of water in the center of the chicken. Turn crock pot on low, cover with lid, and cook for 6 hours. Using two forks, separate the cooked chicken into shreds in the crock pot, stir well. Cover again and cook for 1 more hour. Serve on buns. Feeds a small army. Store leftovers in the refrigerator. Amazingly delicious! To order Sweet n Smoky Jerk Wing Sauce, visit www.caribbeantrading.com. Be sure to keep an eye out for my other upcoming recipes using the four other products I received for review. 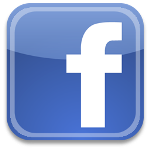 You can also follow Caribbean Trading Company on Facebook, Twitter and Pinterest! Have you heard about the exciting new Little Caesars campaign for the $5 HOT-N-READY Lunch Combo? It features a 4-Slice DEEP!DEEP! Dish Pizza with Pepperoni plus a 20oz Pepsi Product, all for just $5 plus tax at participating locations from 11AM-2PM. Little Caesars always uses high-quality, fresh ingredients to make their pizza, so you know you're getting great food at a great price! My entire family loves Little Caesars, especially the DEEP!DEEP! Dish Pepperoni Pizza. It's fantastic comfort food and perfect for a cold winter day. The carmelized edge on the crust is scrumptious and the cheese is amazing. 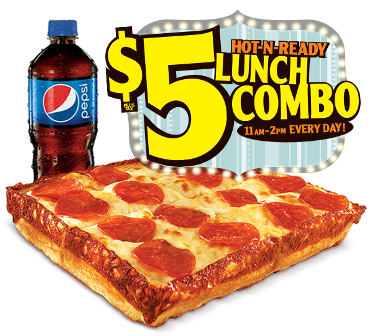 If you haven't tried Little Caesars, the $5 HOT-N-READY Lunch Combo is the perfect way to try it out, plus you'll be saving money on lunches. Having a pet is a lot like having a child. You have to teach them acceptable behaviors, take them in for immunizations and illnesses, make sure they get exercise, and feed them food that is healthy and delicious. Like many people with pets, we see our dog Buddy as more than just a pet, more like a family member. Buddy will be 12 years old next month (that's 84 years old in human age) and his food of choice is Purina Beneful Healthy Weight. Over his lifetime, we've tried several different brands of dog food and I've never seen him react to a brand a food as positively as he does to Beneful Healthy Weight. Most dogs are excited when it's time to eat, but Buddy shows a marked difference in his happiness level when we fill his food bowl with Beneful. I love to see him happy and healthy! Pet360.com is a fabulous resource for pet owners. Not only do they carry Buddy's favorite dog food, they offer everything you'll need to care for your dog or cat properly. Their website is so much more than a pet store, with tons of great videos, articles, and even pet-owner communities where you can ask questions and make new friends who have furry friends. From nutrition and diet to behavior and training, Pet360.com provides what you need and what your pet wants. Visit Pet360.com to purchase Beneful Healthy Weight and other Purina products for your pets. You can get your pet supplies delivered to your front door and if you spend at least $49, shipping is free! Be sure to follow Pet360 on Facebook and Twitter so you're first to hear about special promotions, new products, and expert advice. I spent the weekend in Las Vegas with my husband Johnny, compliments of a sweepstakes win through YahooMovies on Twitter. With a single tweet to promote the movie Last Vegas, I won a three day, two night vacation! Here are some of my favorite photos of the weekend. The rooms at the Aria Las Vegas are impeccable and the service is amazing. They even have a "turn down" service in the evening, where they come and ready the room for bedtime and even leave chocolates next to the bed. We had a fabulous time and even got to visit with Johnny's parents, who live nearby. Thanks to YahooMovies, AriaLV and Southwest Airlines for a fabulous vacation!